“Harry has been burdened with a dark, dangerous and seemingly impossible task: that of locating and destroying Voldemort’s remaining Horcruxes. Never has Harry felt so alone, or faced a future so full of shadows. 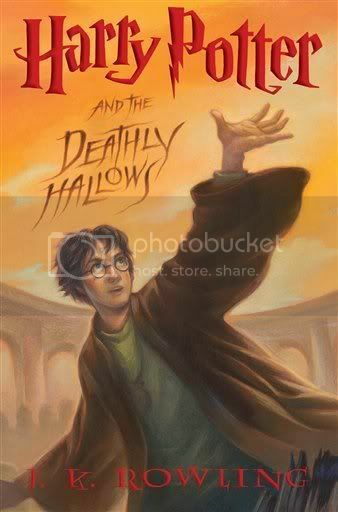 But Harry must somehow find within himself the strength to complete the task he has been given. He must leave the warmth, safety, and companionship of The Burrow and follow without fear or hesitation the inexorable path laid out for him. Mary GrandPré, the illustrator of the US edition books, has not used a monochromic color scheme, as she did with Order of the Phoenix (blue hues) and Half-Blood Prince (green hues). Instead she has reverted back to the color schemes of the first four books. *thank you good 'ol reliable wikipedia!